Whether you want extra space to store your garden essentials or a small personal space you can call your own that’s away from the house, there are a lot of factors to consider before you build yourself a shed. And like any home improvement project, building a shed is going to cost a lot of money and time. It’s always best to get things right the first time around rather than having to employ corrective measures multiple times to fix a problem that could have been avoided in the first place with a bit of planning and mindfulness. So with that said, what exactly are these factors that you should consider before building a shed? While it’s true that a shed is classified as an outbuilding and therefore building one does not require a building permit, there are still regulations that have to be met. While these regulations may vary between localities, a general standard is that a shed must only be a single storey and must have a maximum height of 4 meters. It also cannot be within 2.5 meters of the main house. Furthermore, the shed cannot occupy over 50% of garden space. You need to consider the area where you intend to build your shed. Of course, you’re going to have to clear the site before you’re able to determine this. And if you do find the area to be sloping, you’re going to have to either get it level (which is the safer option) or you may have to alter your shed design to adapt to the ground (which is risky). Your shed’s foundation needs to be solid. Wooden skids and concrete blocks will do nicely. Avoid using anything that’s hollow as these will undoubtedly and eventually collapse. 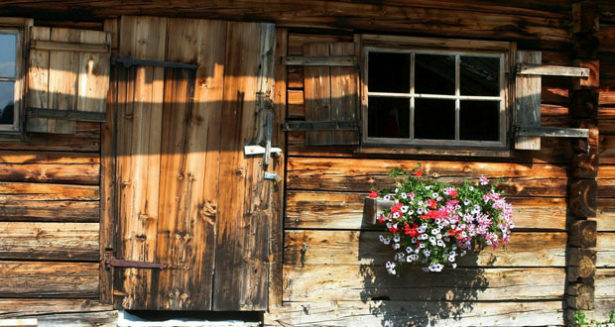 How do you want your shed to look? That is the question raised when you’re talking about shed design. While it’s undeniable that it’s leagues easier to simply have your shed designed for you by professionals like the ones at Designer Sheds Australia, it’s completely reasonable for you to want to have your own design too. Once again, just be sure that you’re able to ascertain the costs ACCURATELY and that you’re also able to adhere to design standards set by local authorities. As you’re probably already aware, insurance policies will vary. It’s very important that you’re able to determine if your home insurance covers not just the shed itself, but the valuable contents inside as well. It always pays to read the fine print. Build your shed away from trees if possible, so it doesn’t get crushed should the trees fall during a storm. Make sure to have your shed’s electricals installed by a licensed electrician, and finally, make sure that your shed has fire prevention measures. You wouldn’t want a fire to start in your shed and spread throughout your garden to the main house.